Red jeans have been everywhere for the last few months. I especially like this combo of red + camel (found on pinterest). The pants in my look are more muted, but I really dig them. I would love a pair of rust colored pants to wear this fall. Also, Old Navy is running their Friends + Family deal. Enter ONFRIENDS at checkout. 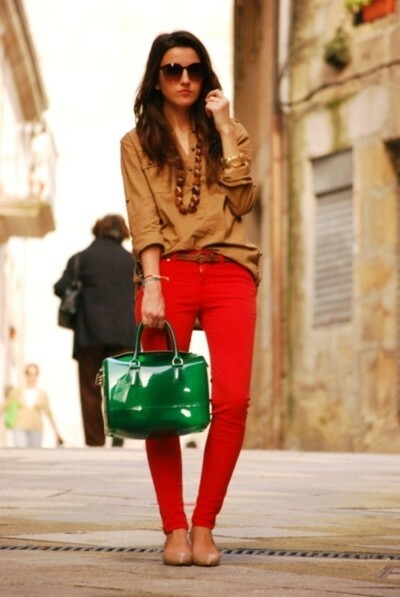 I love the rust colored pants and they would look good with navy as well as the camel.